I discovered an excellent book that you’d be wise to read too. 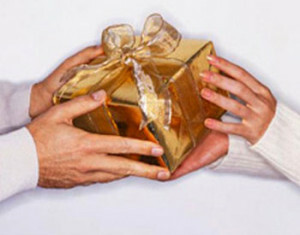 It’s called the Go-Giver, A little story about a powerful business idea. It’s about turning an old idea on its head; that being a go-getter, is really not the way to a better life. The book’s premise is that giving is the ultimate principle that should guide your life. The Go-Giver focuses on other people and creating value for them. The authors create an interesting story about an ambitious young man, a typical hard fighting go-getter who is frustrated about his inability to get ahead. He meets some older people who have been through these life events, and of course, impart their wisdom to him via daily exercises. The Law of Compensation: Your income is determined by how many people you serve and how well you serve them. While the law of value discusses the value you provide, #2 shows you that to be well compensated for the value you provide, you do so by touching the lives of a lot of people. It IS all about relationships and the key task is to find the right people (relationships) to give to. It’s a discovery process to find the right people (your tribe) and then convince them to accept your great value. So, the key to success isn’t just generating value, because your competitors/rivals could create that value. 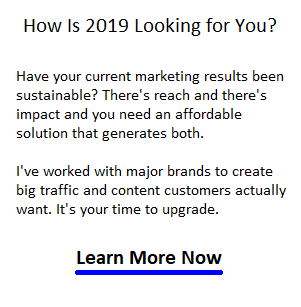 The key is to reach them (Twitter, Blog, Linkedin), have the value ready to deliver and convince them that your value is the best available, and a bargain at that. Access the masses, and build your tribe. Since relationships are reciprocal, you also have to ask yourself, whether you’re open to accept the value others want to give you? If you don’t accept others input, listen, and even block other’s generosity to you, you’re killing your own opportunities. Let others do good for you by showing you respect them, and by listening to them. 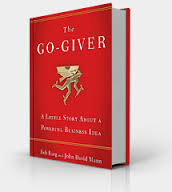 Go-Givers is very inspirational and a nice read. Get a copy, you’ll like it.